As the Chinese New Year comes, feng shui forecasts abound once again. For those who believe the practice, here are some predictions to take note of this year. 2014 had been a year of turmoil. That could be because it was the year of the Wood Horse, an aggressive and fast-moving animal. In the past year, wars and terrorist movements dominated the international headlines. Here in the Philippines, controversial findings involving prominent political figures came into the spotlight. We experienced extreme hot weather, while crimes involving bloodshed, robbery, and accidents with our public commuter systems caused great concern among Filipinos. Global health scares like the Ebola virus have threatened us as well. 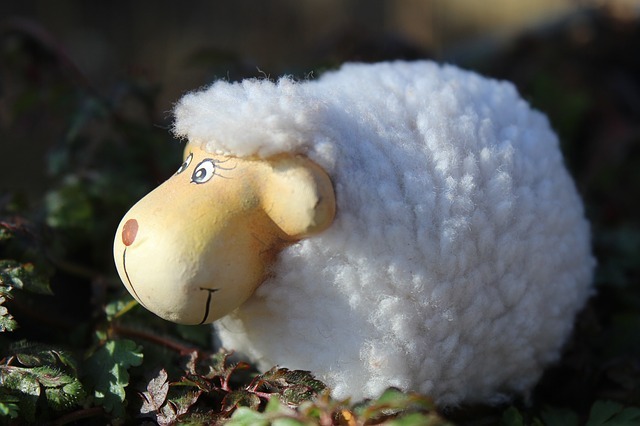 According to Asia’s youngest feng shui master, Master Hanz Cua, 2015, the year of the Wood Sheep in Chinese Zodiac is represented by the benign and spiritual characteristics of the lamb--a gentle creature who grazes on grass and abhors bloodshed. The feng shui chart has all the Five Elements (Wood, Water, Metal, Fire, and Earth) in proper balance, heralding a more harmonious year. Yin metal supports the Earth which is a resource element so there will be a boost of prosperity for our nation's economy. The gentle nature of the Sheep will even influence local politics. Our leaders will work together more, and internal strife will decrease. 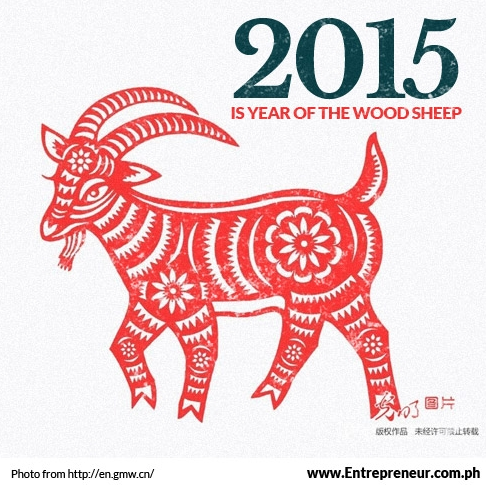 The Year of the Wood Sheep is a year that you should invest on businesses that are connected to the Element of Wood. Wood industry covers the following: furniture, paper, rubber, tree plantation, cartons, flower shop, magazines, and newspaper. Green is the color of auspiciousness; it enhances the wealth luck for the year 2015. The Year of the Wood Sheep is also a good time to invest in the fire industry. This covers the following: food, restaurant, LPG, gas, light, electronics, electricity, technology, the Internet, and computers. Fire is also the Red Power Element. Red, yellow, and orange enhances power and influence. The dates between February 4 and April 4 are excellent for investing in the business of fashion, textile, and real estate. Between April 5 and June 5, it is favorable to invest in agriculture and papers or rubber-related trade. From August 7 to October 8, it is a good time to invest in cars and tourism-related businesses. October 6 to December will be favorable for investing in plantation and food related businesses. A word of caution: be careful on doing investments during the Ghost month which falls on August 14, 2015 to September 12, 2015. President Benigno Aquino III needs to set more goals and plans at start of the year. The Year of the Sheep will be an unpredictable year for him. He needs to set up a backup plan for any uncertainties. The president will need to travel and meet more foreign dignitaries in order to generate more wealth for the country. For the Year of the Wood Sheep, he can expect his Health Luck to be very good. His Love Luck is also strong this year. The Philippines is located in the South East part of Asia. Since the Southeast flies the Star of Illness for 2015, expect incidences of Earth related illnesses to rise this year. Also on the forecast for the Year of the Wood Sheep, overseas remittance will strengthen. There will be more overseas work opportunity. The tourism industry will also be generating good income. For feng shui-based consultations and advice, visit Master Hanz Cua in his shop, 8 Treasures: House of Mystical Charms, located at Level 1 EDSA Shangri-La Plaza.